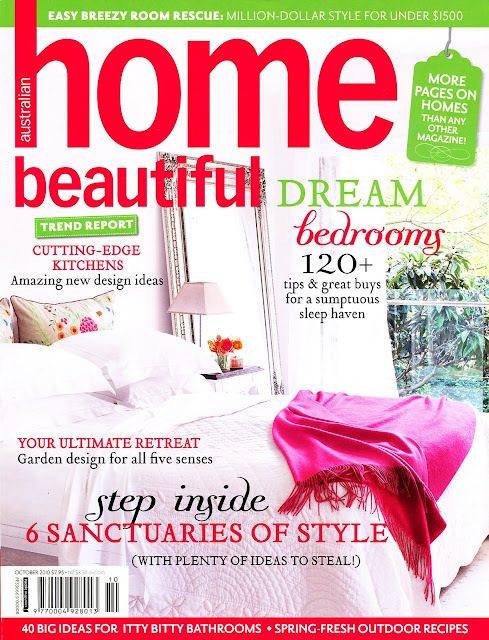 The October 2010 issue of Australian Home Beautiful is on sale now. Tonight = sorted! (Did I mention the bit where we didn't unpack the TV? Andwehavetwochildren!? Yes, it's a social experiment (my words), and Mr Tonic is coping remarkably well, ditto the mini-Tonics.) PS It's been a while since I bought HB, and I'll give you a (top quality) sneak peek soon - now that I have a fancy schmancy scanner! I haven't commented here before but thought today was the day,you've been missed! I love following your lovely blog! Love to hear your thoughts on this issue Louise. I found it lacking. Disappointed in this issue unfortunately. Hopefully better things next month.